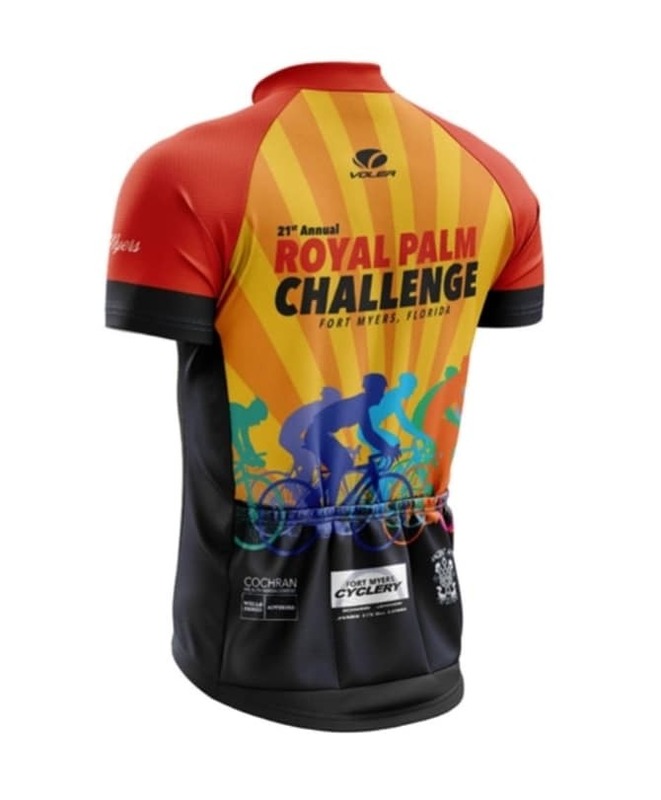 The Royal Palm Challenge is right around the corner. This is the 21st annual RPC, an event that in the last 5 years has helped us raise almost $20,000 for various charities. 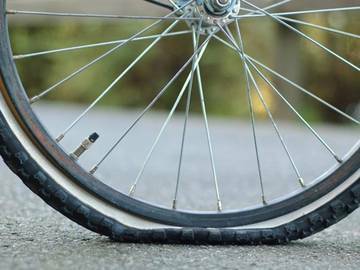 This year, we have chosen to support the Florida Bicycle Association, which promotes safe cycling through education and legislation. Please click the link to their page to learn more. Join our Saturday club rides of 38 or 46 miles, and then join us for the main event on Sunday. The Saturday rides will use different routes than Sunday. All pre and post ride activities will take place at Fort Myers Brewing Company 12811 Commerce Lakes Dr. Suite 28, Fort Myers FL, 33913. 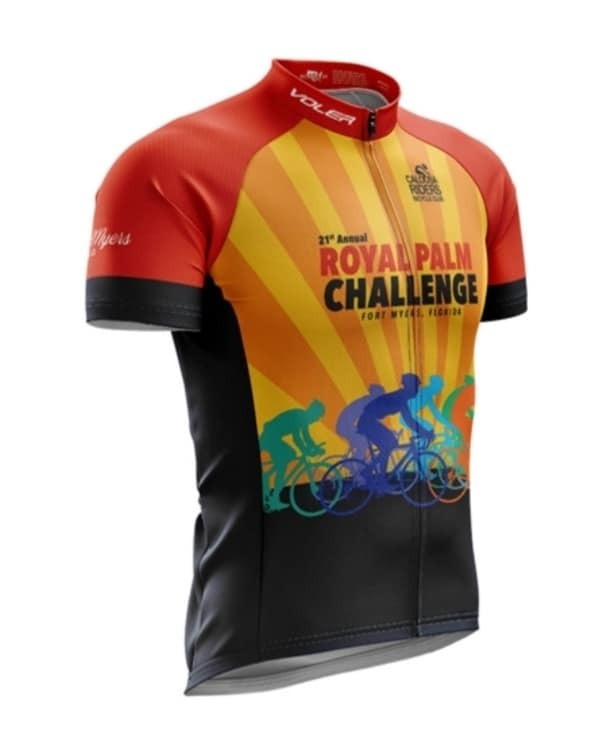 Event jerseys are available through Voler. Click the image for ordering information. Click here for important parking information. Online registration is now closed. Please register at the event on Saturday or Sunday. If you would like to register at the event with cash or by check, you may download the form here. We are now also able to accept credit cards on site.